With the vigorous development of highway, more strict requirements have been put forward on the material performance. It is difficult for traditional single material to meet the comprehensive performance requirements and high index requirements. The development of composite materials has become an inevitable trend in civil engineering. Composite materials used in civil engineering can be traced back to Neolithic Age or even earlier, but they have been widely used in highway engineering in recent years. At present, some mechanisms of highway composite materials are not very clear yet. 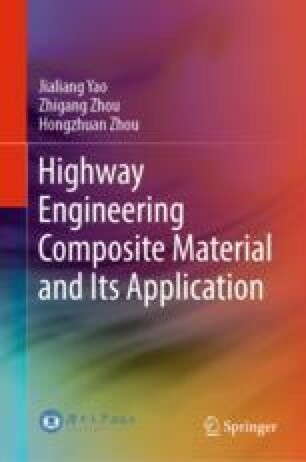 In order to promote and apply highway composite materials, the development, definition and classification, reinforcing theory, damp heat effect, interface, design content and methods of composite materials, and the compatibility of matrix and reinforcement, the wettability is mainly introduced in the first chapter. The composite materials used for highway and bridge construction are increasing in variety, and new requirements are constantly put forward for their quality.